When I discovered that Jennifer Stevens, RN with the Renown Cancer Nursing Unit is also a First Violin with the University of Nevada Symphony Orchestra (UNRSO), I knew I had to interview her. I was approximately one semester out from applying to nursing school, and I needed a one credit class to keep my status as a current student at my university. 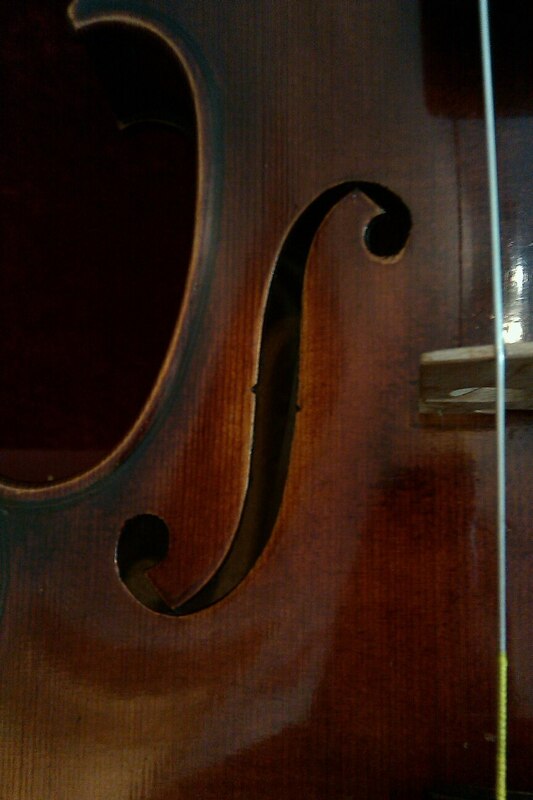 I hadn’t played violin for nearly three years at that time so initially I did not consider anything in the music department. After realizing that there wasn’t much available – and yes, I even tried basket weaving – I happened upon private music lessons for 1-3 credits. I called the violin professor and arranged a meeting. I was placed with Brune Macary and began having a one hour lesson each week for the semester. It was Brune who reigniting my passion for playing music and helped me correct several issues with technique that had been holding me back for more than a decade. After that semester, we continued to play together as friends. I worked hard to bring my playing to a level suitable to audition for the University Symphony Orchestra. Music balanced the rigorous academic and professional goals and became a refuge and outlet for me through the rest of my time in nursing school and my transition to nursing practice. Now, it is impossible for me to imagine my life without it, and I take great pleasure in nurturing and developing my abilities in music. I’m not sure that I have “heroes” per say. Perhaps that’s because I am part of a profession that requires heroics every day to keep people alive and help them achieve their optimum health. Therefore, the amazing nurses and physicians that I work with every day are heroes to me. I typically draw inspiration from everyday people who are great at what they do and enjoy life. I always try to see the best in people, which contributes to my positive outlook in general. That being said, popular/well-known figures that inspire me are the late Maya Angelou, Condoleezza Rice, Jackie Joyner-Kersee and several other professional and semi-professional athletes who display excellence in their character, Itzhak Perlman, Dmitri Shostakovich, and others. I think that the one of the reasons these people are heroes to me, is not because they are famous, but because they overcame significant adversity and achieved their goals through hard work and humility. A quote by Jackie Joyner-Kersee reached me at a young age. It is what I consistently remind myself of and is as follows: “The glory of sport comes from dedication, determination and desire. Achieving success and personal glory in athletics has less to do with wins and losses than it does with learning how to prepare yourself so that at the end of the day, whether on the track or in the office, you know that there was nothing more you could have done to reach your ultimate goal [italics mine].” I often interchange life with sport and whatever activity I am engaging in with athletics. Self-preparation is one of foundational concepts upon which my life activities and goals rest, and ultimately helps me overcome setbacks and less than optimal outcomes. How do you balance your day-to-day commitments with your creative pursuits? Balance is difficult to achieve to be sure. My goal is to be the best that I can be in whatever it is I am doing, which typically requires that a lot of time be invested. Therefore, I see time as one of my biggest obstacles to getting everything I want to accomplish done. I find that the best way to manage everything is to plan my schedule in a meticulous manner – including sleep and rest time – and hold myself accountable to that schedule. I know that perfection is largely unattainable, but I spend my time chasing it. I know that as long as I do my best and work to improve consistently that my goals will be met in time. Aside from professional development in my career and music, I enjoy cooking, being around animals, playing softball and basketball, reading, teaching/team-building, and occasionally playing a silly game on my phone. I just transferred to a new unit in the hospital, so at the moment I’m focused on the present. There’s a lot of learning in my new position, so my goal making at this point revolves around success at work and in the orchestra. I expect that I’ll be plenty busy with that for the next year or two. Beyond that, my long term goals are to study for my Ph.D. in nursing research. I love teaching and hope to be a professor of nursing down the road. In music, I will keep working toward the goal of auditioning for a professional ensemble like the Reno Philharmonic eventually. 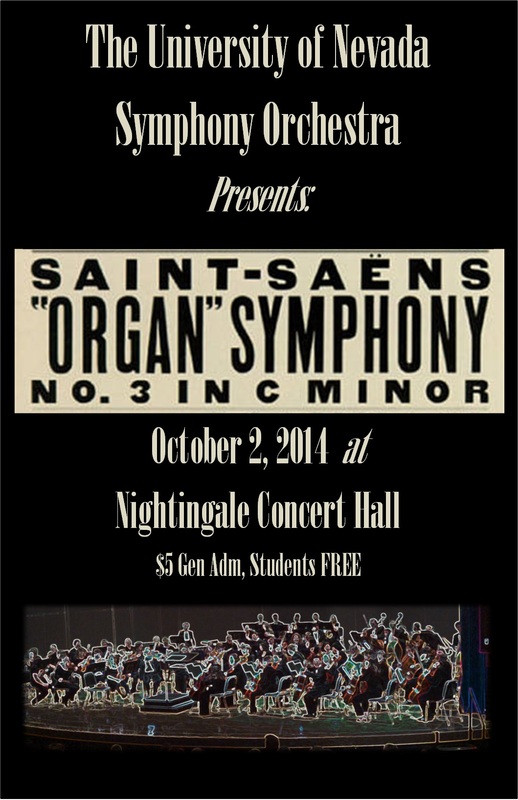 Our next performance, Saint-Saens “Organ” Symphony, No. 2 in C Minor, is October 2nd. UNRSO performances are free to students and children and $5 for adults. The concert proceeds benefit the orchestra toward purchasing music and equipment. 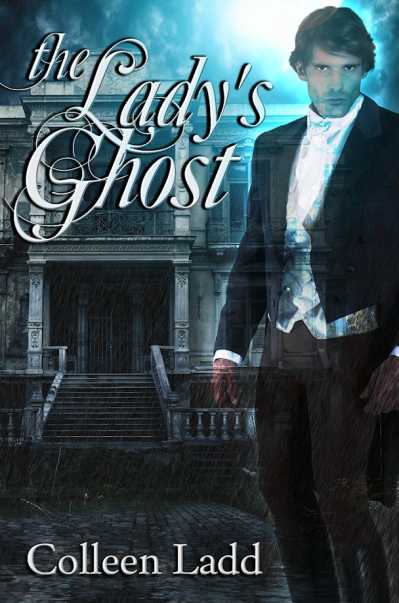 The Lady’s Ghost is a Regency-set romance with a mystery at its heart. First Portia’s late unlamented husband left her penniless, then his nip-farthing brother dumped her at Ashburne Hall to decay. If mice in the walls and holes in the roof aren’t bad enough, someone wants her to believe the place is haunted. But Portia doesn’t scare that easily, even if catching sight of the brooding ghost leaves her strangely breathless. The more Portia learns about Giles Ashburne, the more certain she becomes that her ghost is not only innocent, but far from dead. When she sets out to prove it, she puts herself on a crash course with not only Giles, but the real killer. If Giles and Portia don’t learn to stop striking sparks off each other and work together, there will soon be two ghosts at Ashburne Hall. I’m working on the next book in the series, tentatively titled The Duke’s Despair, which follows several of the characters from The Lady’s Ghost into their own story of double-dealing, sabotage and, of course, romance. Oh my, that’s a difficult question to answer! I love the Regency period and romance in general, but my reading tastes are very eclectic, and I tend to find my role models in a variety of genres. Things like Ellis Peters’ warmly human characters in the Brother Cadfael mysteries, the unrelenting pacing of the supernatural horror written by Douglas Preston and Lincoln Child, Neil Gaiman’s apparently limitless imagination. Not as well as I’d like, especially at the moment. It’s difficult to prevent writing from taking a back seat to other commitments. Knowing which one is more important to me (writing) does not always translate into giving it the space it needs and deserves. This is a balance act I’m still working on. Reading (but what writer doesn’t say that? ), making stained glass panels and chainmail jewelry, helping out on the local volunteer fire department (which is one of the things that eats up time and makes the balancing act difficult – it’s one thing to volunteer to help out your neighbors as a volunteer firefighter and another to find yourself elected chief, with all the responsibility and paperwork that entails). I also operate a slowly growing editing service for other writers (www.ravensgateediting.com) – I’ve been editing for more than twenty years and thoroughly enjoy the chance to help people make their books the very best they can be. 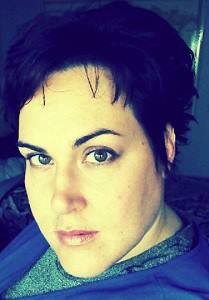 Note to readers: Colleen edited Ever After and she is currently editing my current WIP. She is awesome! The Lady’s Ghost and The Duke’s Despair are just the beginning of a web of books all connected through the lives of the characters. Secondary characters become heroes and heroines, the main characters in one book become supporting characters (and sometimes obstacles) in other books, and readers stand a chance of discovering why Lord X was holding up the wall at his own ball, or Lady Y flirted so egregiously with the hero only to dump him the next morning. After her husband’s death, Portia Ashburne finds herself banished to Ashburne Hall, left to fend for herself in the crumbling old manor. Ten years ago, when Giles, the previous Lord Ashburne, was accused of murdering his fiancee, he fled on a ship that was lost at sea. Locals claim his spirit haunts Ashburne Hall. Portia doesn’t believe in ghosts. She suspects the Hall’s hostile caretakers of playing tricks on her. When she sets out to prove it, she puts herself on a crash course with both Giles and the real killer. Will The Lady’s Ghost be able to save her?